ARLINGTON, VA – The National Grocers Association (NGA) today announced that former director of the Central Intelligence Agency (CIA) and the National Security Agency (NSA), General Michael Hayden, will deliver the opening keynote address, sponsored by The Kraft Heinz Company, during the 2018 NGA Show held February 11 – 14 at the Mirage Hotel in Las Vegas, Nevada. As director of the CIA and NSA, General Hayden was on the frontline of the war on terror and saw firsthand the challenges our nation faced during times of geopolitical strife. Hayden is a retired four-star general who was the country’s first principal deputy director of national intelligence and the highest-ranking military intelligence officer in the country. Additionally, Hayden served as the head of two multi-billion dollar enterprises, and through this experience, he brings an interesting perspective on the challenges of managing complex organizations in times of stress and the need to develop effective internal and external communications. Hayden is a sought-after speaker for his expertise on intelligence matters, geopolitics, and the ability to give an insider’s glimpse into the political, economic, and security issues facing the nation. The Kraft Heinz Company has been a member and supporter of The NGA Show for 30 years. In addition to revealing the 2018 keynote speaker, NGA also announced that online registration has now opened. The 2018 NGA Show will feature 40 specialty education workshops, over 350 companies on the EXPO Show floor, and anticipates more than 3,500 attendees for the eighth consecutive record-breaking opening. For over 30 years, The NGA Show has been the place where independents gather, connecting grocery retailers and wholesalers, food manufacturers and service providers from around the world to share innovative solutions and best practices that support and strengthen the independent supermarket channel. Online registration for The NGA Show is now open and can be found at www.theNGAshow.com. For General Michael Hayden’s headshot, click HERE. 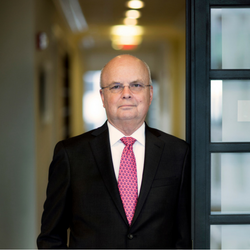 For General Michael Hayden’s full biography, click HERE. To request media credentials to The NGA Show, click HERE.